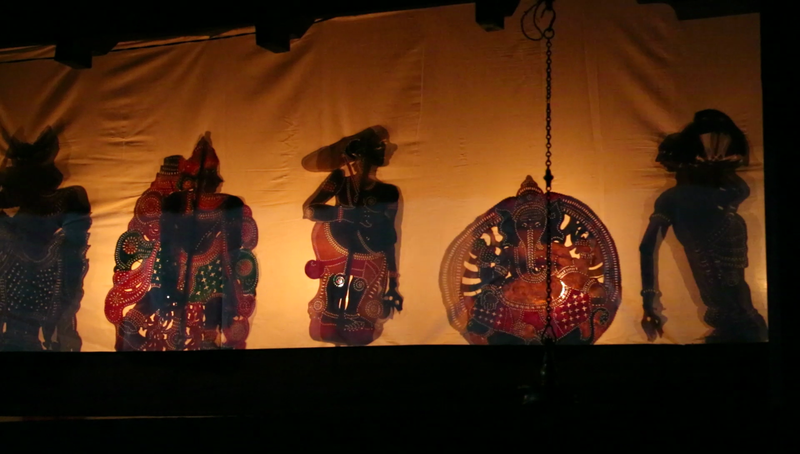 Traditional shadow theatre from Kerala in south-west India. In Kerala, tolpava koothu (tol: “leather”, pava: “figures”, koothu or kuthu: “dance” or “play”) has been in existence for more than five hundred years. The religious performances in the Tamil language developed in villages around Cochin (Kochi), Palghat (Palakkad) and Trichur (Thrissur). The Tamil language marks this period during which the regions of Kerala and Tamil Nadu formed one single kingdom so that Tamil became the classical language whereas Malayalam the day-to-day language in Kerala. Thus, Ramayana texts adapted by the poet Kambar (Kamban) more than three quarters of a millennium ago are spoken in Tamil by puppeteers whom, however, give explanations and commentaries in Malayalam. The Ramayana is this form’s only repertory. Performances, linked to temple rituals, are given without interruption for periods of seven to twenty-one nights and offered in honour of a special spectator: Goddess Bhadrakali (the auspicious and fortunate form of Kali). According to legend, Goddess Bhadrakali was battling the demon Darika at the same time as Rama was battling Ravana. 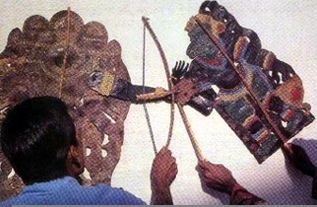 Since Bhadrakali missed witnessing the defeat of Ravana, the shadow play of the Ramayana and the final battle between Rama and Ravana are performed for her, before her idol in her temples. 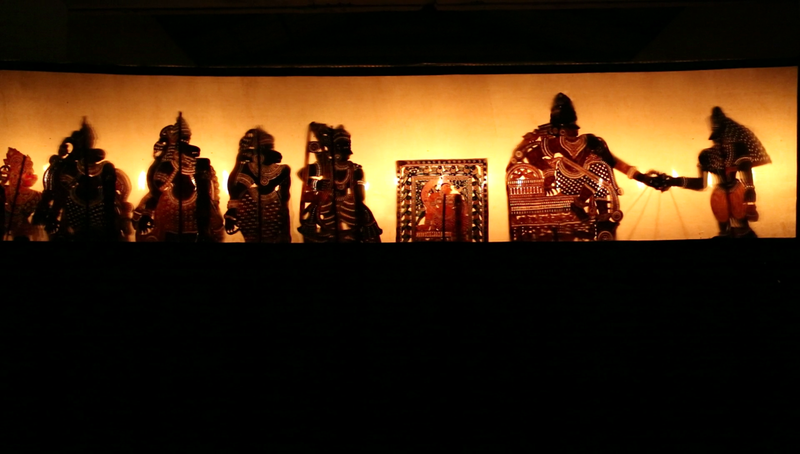 The figures are carved from deerskin. Almost 130 figures are needed for the telling of the entire story. 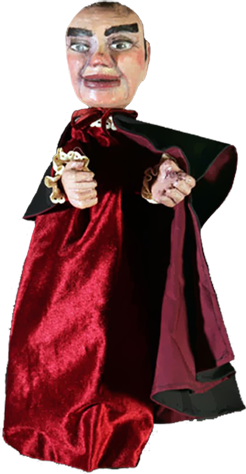 The figures are transparent and coloured, and do not have many articulations. The smallest measure 18 centimetres and the largest 40 centimetres in height. 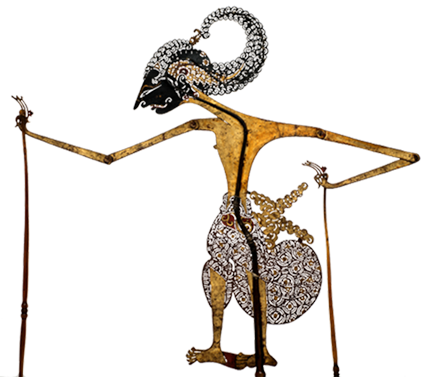 The figures are pinned by palm date or acacia tree thorns on a white fabric screen 12 metres long, running along the front of the stage. The permanent stage in the temple courtyards of the goddess’s temples (the only permanent traditional puppet theatres in India) is a three-sided enclosed structure called the koothu madam. 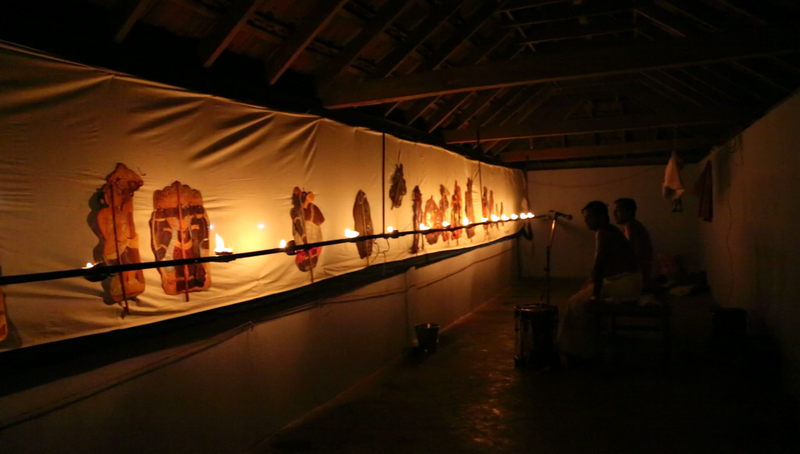 The screen is lit by twenty-one oil lamps made from halved coconuts, each hung 2 metres apart. On the 20th day, after Ravana is killed, the cloth screen and the stage floor are washed and thoroughly cleansed as they are considered desecrated by the bloodshed. 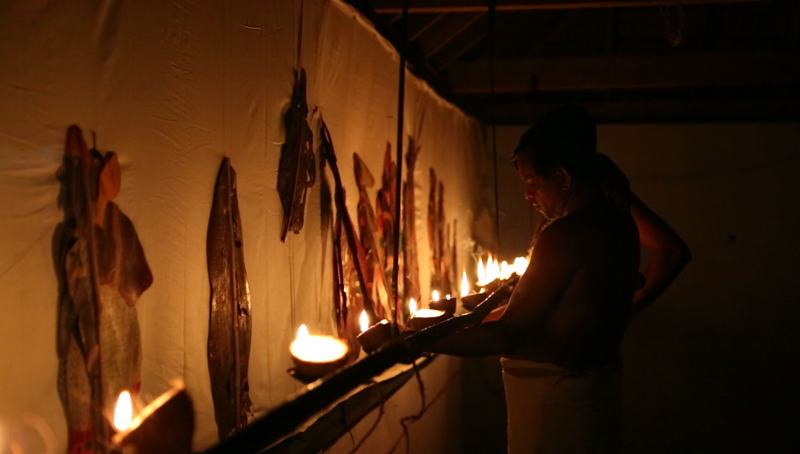 Today, there are troupes and traditional families performing tolpava koothu, some of whom are master puppeteers recognized locally and sometimes nationally for their contribution to the art of puppetry.